As registration dates for incoming first year students quickly approach, we wanted to offer valuable advice from a former student on shopping carts. Happy Class Searching! 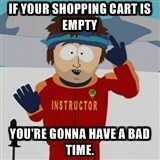 If your shopping cart is empty, you’re going to have a bad time. Don’t worry though! Below are some tips to help you while you’re preparing your shopping cart for enrollment. Tip 1: Don’t have an empty shopping cart! 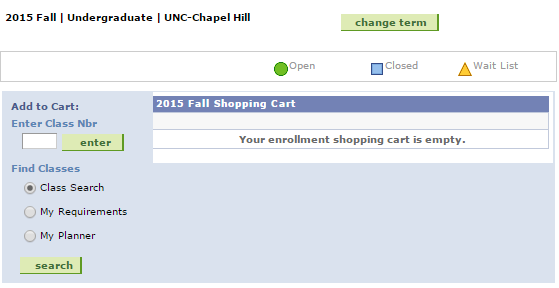 If you start your enrollment period with your shopping cart looking like this, you’re going to have a bad time. 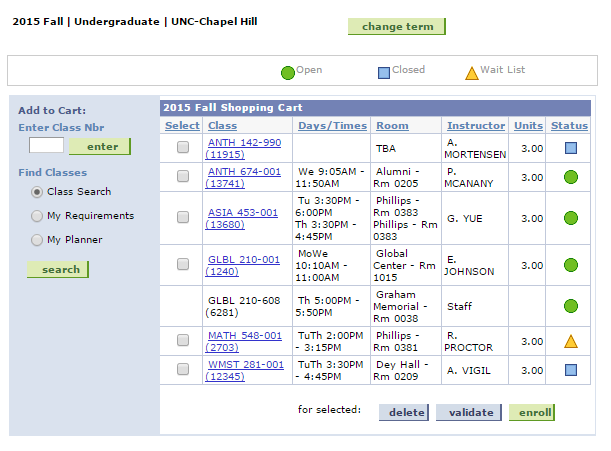 “I’m just going to put the 5 classes that I want in my shopping cart.” NO! 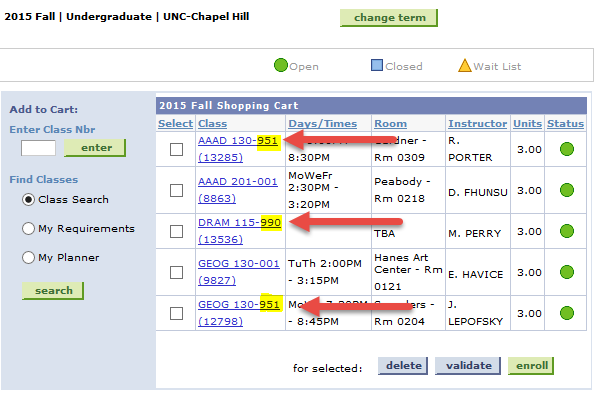 If you add only 5 classes, you will have to add more once your enrollment appointment starts. 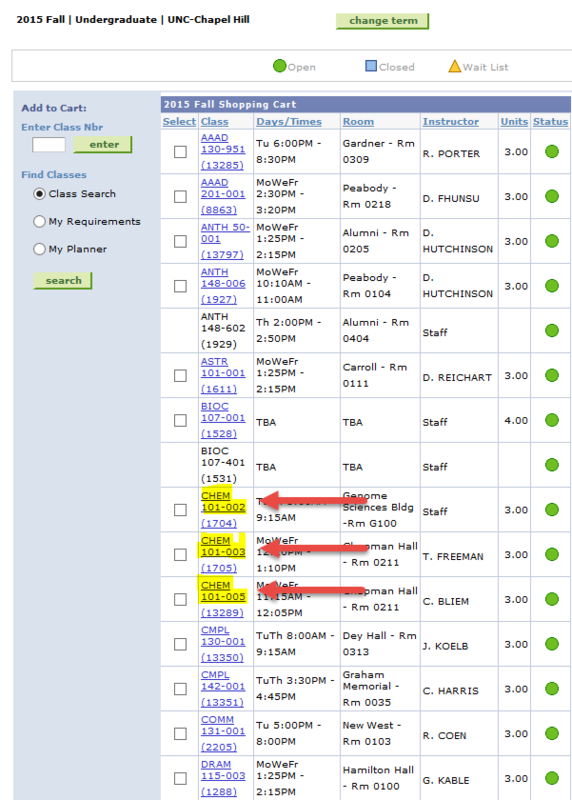 Tip 3: Make sure to check the section number of classes! If a section is 951, it is reserved for part-time students and you will not be able to successfully enroll in that class. If a section is 990, it is an online class and will often require class permission from the department to enroll. Incoming students cannot register for these classes during their registration session following orientation! Tip 4: Follow our example for a full shopping cart. A full shopping cart should look like this. Try to add about 30 classes to ensure that you will have options when you enroll. Note that multiple sections of CHEM 101 have been added to the example below.